For a lot of people, the concept of being healthy means that you have to cut everything that tastes good out of your life. It can’t be good for you if you like how it tastes, right? This couldn’t be further from the truth as there are plenty of healthy options out there that taste good, but often the thing that makes them unhealthy for us is that we don’t know when to stop or how to read the labels of brands to ensure that we’re getting the healthiest option. Take honey for instance. There are plenty of amazing health benefits of organic honey that most people don’t realize, but going overboard with it will put a lot of natural fructose into your diet. Let’s dive deeper into what makes organic honey special and these health benefits that you may be missing out on. You may be under the misconception that all of the honey you find in the store is organic honey since it’s all made by bees, but the problem comes into play with what happens to the honey after the bees make it. There are a lot of different ways that honey is processed after it comes from the hive. Much of the honey that can be found in the stores has been processed so much that it doesn’t really qualify as natural anymore because much of what makes it so healthy, such as pollen, is taken out of it through filtering and other processing methods. The health benefits of organic honey are pretty numerous. Here is a list of some of the top benefits you can see from putting organic honey in your home. Honey may have been your go-to item to add your tea when you have a tickle in your throat, but it actually works very well as a cough suppressant. What will happen is that the honey will form a film on your throat, and this will help to limit the amount of coughing that your body goes through. In fact, a research study was completed comparing honey, a commercial cough suppressant flavored with honey, and no treatment on a population that has a carefully monitored medication intake: children. This study found that honey was more effective than no treatment when compared to the commercial cough suppressant. This is great news for parents as it means that they can reach for honey rather than the commercial cough suppressant to see their children get a good night’s rest when they aren’t feeling well. Plus, you’d probably rather reach for the honey which tastes great rather than a cough syrup that you don’t like the taste of let alone your child being willing to taste. The next health benefit doesn’t even necessarily require you to consume honey to get it as you can put it on wounds to aid in healing. Manuka honey is being studied for its antimicrobial properties considering the advent of antibacterial resistant strains of microbes. One such study used this honey for Streptococcus pyogenes and found that it has the potential to work as a treatment. Another study found that honey was able to heal 58 out of 59 cases of wounds and ulcers that didn’t heal by using a traditional healing agent. In addition, the wounds that were sterile stayed sterile even with applying honey, and those that weren’t sterile became sterile within a week. Considering both of the previous items, it makes sense that acid reflux is another health condition that can benefit from the consumption of honey. Heartburn and gastroesophageal reflux disease can be very uncomfortable conditions to deal with, and they can have a negative impact on a person’s throat and vocal cords. 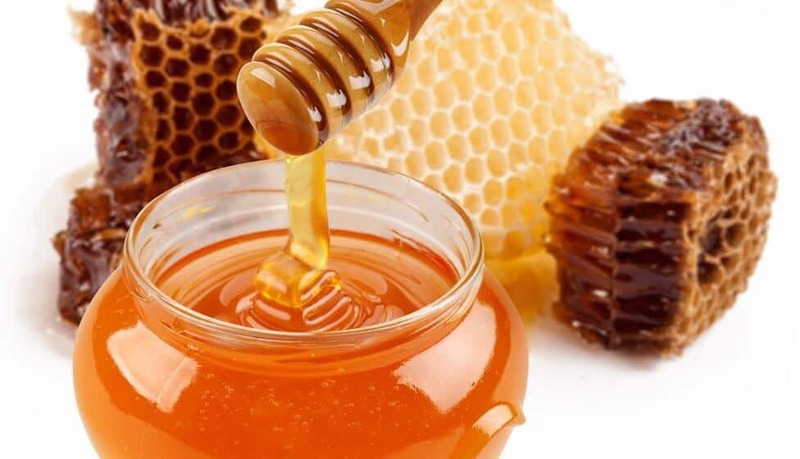 The coating effect that honey has been shown to have can help to coat the throat of a person dealing with these conditions and help to relieve some of the discomfort caused by it. Probably one of the most uncomfortable topics to discuss is a sexually transmitted disease, but the topical application of honey may be beneficial for someone that has genital or labial herpes sores. These lesions are uncomfortable and embarrassing, so these results are good to see. A study was done on several patients that found that not only did the honey help to heal the sores, but it also helped with the pain and caused these sores to heal without the uncomfortable feeling of crusting over. Among the patients, there were no negative side effects from using the honey during the one attack, but a few of those in the next attack that used a traditional medication to treat herpes found that they had the side effect of itching that you can only imagine would make this condition feel that much more miserable. Of course, there is currently no cure for herpes, so this is a welcome relief to the treatment of the lesions that come from it. Living a heart-healthy lifestyle is another tough sell for people because they worry about giving up their favorite foods and flavors. Organic honey also has the benefit of antioxidants, specifically the phenolic compounds found in it. These compounds have been found to support heart health in that they help to reduce the risk of coronary heart disease. In addition, these same compounds are also being studied for their potential use as a cancer preventative. If you still need more convincing that organic honey offers a great deal of health benefits than consider the vitamins and minerals that that can be found within this tasty sweetener. You’ll benefit from vitamin B6, vitamin C, riboflavin, folate, choline, and betaine. In addition, there’s calcium, phosphorous, fluoride, potassium, iron, and magnesium. You’re not going to find the same thing in many of the other sweeteners that you may be using during the day. There are a number of places where you’re able to buy organic honey. These include Costco, Walmart, Whole Foods, Trader Joe’s, and more. You can also find organic honey from local beekeepers in your area that set up their own shops or at farmer’s markets. The key when buying honey is to read the label. You want to find honey that has had minimal processing. Not all of the honey you find for sale at farmer’s markets or local shops will have the same type of label you will find at a store, but most purveyor’s of honey are happy to share the details on their process and answer any questions you may have about their product. You may have skipped over this item in your diet and as a natural remedy because you weren’t fond of the flavor of it, but it’s interesting to note that there are different flavors and textures of honey. The source of the nectar that bees used to make the honey can have an impact on the taste of the honey. You may not like one particular type of honey, such as clover honey, but you may find that you prefer a different source, such as orange blossom. Give these different kinds of honey a try to see if you can find one that you like with a taste test. This is especially good if you are trying honey at a farmer’s market or another source where you’re able to get a taste of it before purchasing. There are a few words of caution that you need to keep in mind when it comes to organic honey. The first is that you need to keep any honey away from children ﻿﻿under a year old because it has the potential to contain botulism spores. These spores can cause your baby to become sick, and are heat resistant, so it doesn’t matter if the honey is pasteurized or not. Older children and adults with a healthy digestive system that can have these spores introduced without incident typically. In addition, as with anything that tastes great and is healthy, you want to eat your organic honey in moderation. It’s recommended that you have about ten or fewer tablespoons of sugar in a day, and honey can count towards that amount. It’s just as easy to over-do it with honey. Organic honey is a safe product to turn towards when you’re looking for a sweetener that tastes great and offers so many healthy benefits. In a world, where it’s so hard to make the best choices, it’s nice to know that there are some natural products out there to help make your decisions a little easier. Make organic honey a tasty treat for you and your family. No matter if you cook with it, season your tea with it, or use it in a natural remedy, these health benefits are yours to enjoy. Have you tried organic honey? What is your favorite way to use honey around your home? Have you ever experienced one of these health benefits? Let us know below to share your experience with honey. Be sure to share this article with all your health-conscious friends and family.